They’re sweet, snuggly and sometimes a little sneaky. Adopting a cat can be wonderful — as long as you don’t make some common missteps. We want to help ensure you’re set up for many years of happiness when you bring home your new feline. We’ve come up with a list of five mistakes people often make when they decide to adopt a cat, so you can be sure to avoid them. We know — you see that fuzzy little kitten, and all you want to do is bring her home and cuddle with her. Who wouldn’t? While it might turn out great in the end, make sure you’re thinking with a clear head when you decide to adopt a new pet. Be sure you can afford to properly care for your cat, that no one in your family is allergic, that a cat is allowed if you live in a rental and that your schedule is predictable enough for you to give her the time and care she needs. Once you’ve determined that you’re in a good place to bring a cat home, don’t dismiss the idea of adopting an older cat instead of a kitten. With an adult cat, you might be able to know what you’re getting as far as activity level, sociability and health go. An adult cat will likely require less training and tolerance than a kitten might. There are also plenty of senior cats in shelters who would welcome your love and attention. They’re often not as mischievous as kittens and perhaps won’t be so full of energy that they’ll keep you up at night. And the best part is that you very well could be saving a life. If a black cat crosses your path, it might actually be good luck. If you can put your superstitions aside, you’ll see that there’s nothing to fear about these beauties. Many shelters and rescues offer discounts on the adoption fees for black pets to counter the phenomenon that it can take longer to find them homes. Plus, black cats can be rather exotic looking, and their sleek color can inspire lots of great names! In all seriousness, the black cats at your local shelter need homes, so look past any preconceived notions you might have about their color and give them a fair chance to win you over. If you already have pets and you’re thinking about adding a new cat to your family, give careful consideration to the effect the new arrival will have. Think about your existing pets’ past and current behavior to get clues about how they might react to a new cat, trainer Mikkel Becker says. If your current pets have a history of aggression or fear around other animals, you should reconsider your plan to adopt, she says. If you do think your current pets would welcome a new addition, ask the shelter about the personality, temperament and energy level of the cat you’re considering to determine whether she’ll be a good fit. It’s a good idea to consult a professional like your veterinarian or positive-reinforcement trainer to get advice on whether your pets are likely to be buddies. Do you have an idea of what your life might be like in the next five to 10 years? That’s among the top 10 questions you should ask yourself before adopting any pet. Remember that healthy cats can live long lives, so you don’t want to make the mistake of adopting one without considering whether you can really make a long-term commitment to your feline friend. 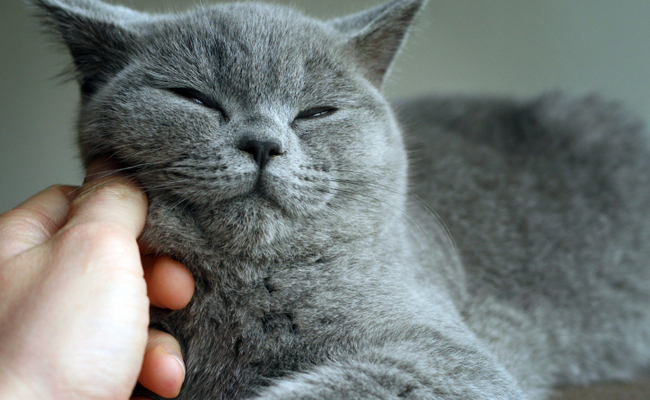 Even though cats have a reputation for being relatively independent, they still need your care, time, love and affection. I love our little black kitty! Our little white one too! I've had many black cats. They are .o differant then other cats other then being gorgeous. Thanks for the article. Black cats are considered bringers of good luck in many parts of Europe. And they can be sooooo beautiful! I have two tortoiseshell cats (black & caramel), both from the shelter. Our blackest -- Magnolia Mae -- is the sweetest creature ever! I adopted her as an adult cat (4 years old), and she totally changed my mind about adopting older cats. Now, I leave kittens to those who don't know any better! ;-) Maggy is a lap cat: sweet, precious, playful! Now, at 13, she's more mature and settled, and still lovey as ever -- wouldn't trade her for anything in the world! THERE IS NEVER A GOOD REASON NOT TO ADOPT ANOTHER CAT! WHEN EACH OF MY CATS SAW A NEW ONE COME IN, OF COURSE THEY WOULD HISS AND I WOULD SIMPLY SAY TO THEM..."THERE WILL BE NONE OF THAT" AND YOU'LL GET OVER IT , THEY DID AND NOW THEY ALL ARE BROTHERS AND SISTERS WHO GET ALONG BEAUTIFULLY.